Hah, nope, that would be a lie wouldn’t it? =P He as in Benjamin Franklin was raised Presbyterian and so having that personal background it was my impression he felt more justified in pointing out the criticisms he had of them over other denominations. =) Sorry my wording and sentence structure was confusing. so interesting. 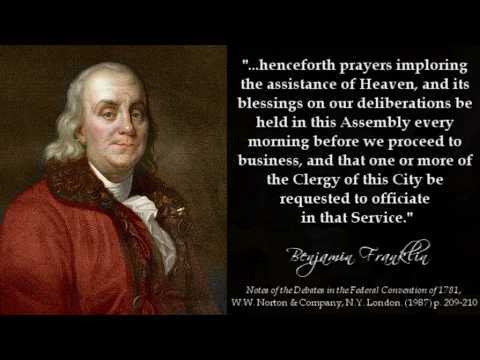 I did not know this about Benjamin Franklin. I’m looking forward to more about him. I agree with old Ben, that if I were subject to sermons that really meant nothing, and had no real meat in them, then I would no longer go. That’s probably why I haven’t gone anywhere in a very long time, sad to say. Wow, I’m just loving this! Thanks so much for sharing it. Can’t wait to read it to my son (named after Franklin) when he is old enough to be inspired.